1) The idea of bombs exploding all over the city is shocking to us today. But in fact the threat of makeshift bombs were sometimes employed in extortion plots such as those by the Black Hand. Most of these bombs were homemade and many never detonated. When they did, they were usually used to kill particular individuals. The police department even had a Bureau of Combustibles; in 1913 they reported 125 such explosive devices. 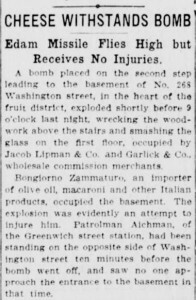 2) This bomb was placed at 268 Washington Street. 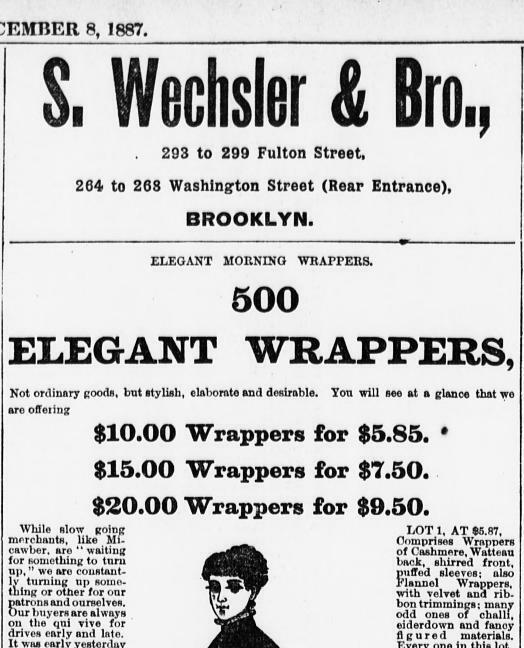 That stretch of Washington no longer exists today, but it would have been located in today TriBeCa neighborhood. The building which sat at this address predictably held grocers of various sorts. 3) Notably this address is indeed in “the heart of the fruit district,” Washington Market, where the city went to get one’s produce right off the trains from St. John’s Freight Depot. 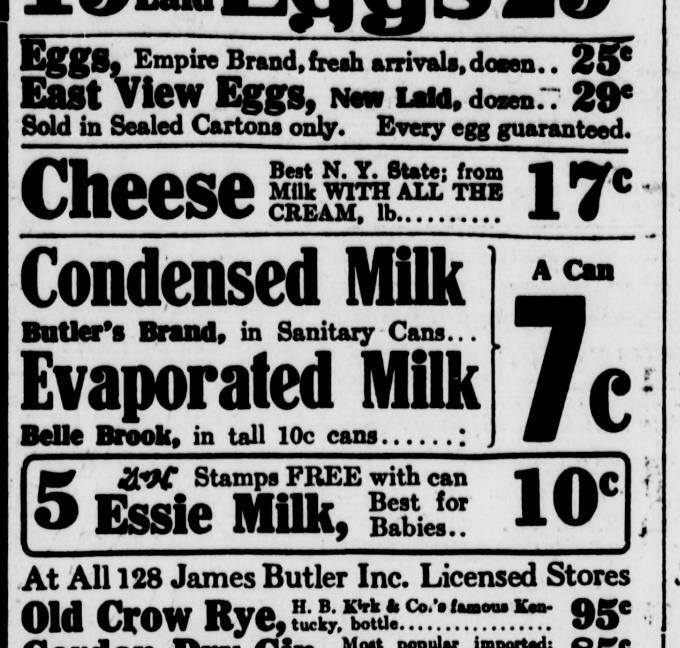 4) Garlick & Co. was a produce “commission merchant,” i.e. 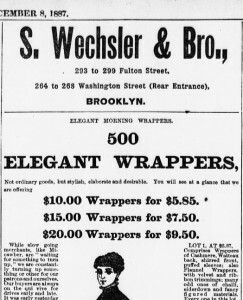 a grocery middle-man who buys or sells items for a percentage of the price, obviously a familiar concept today. 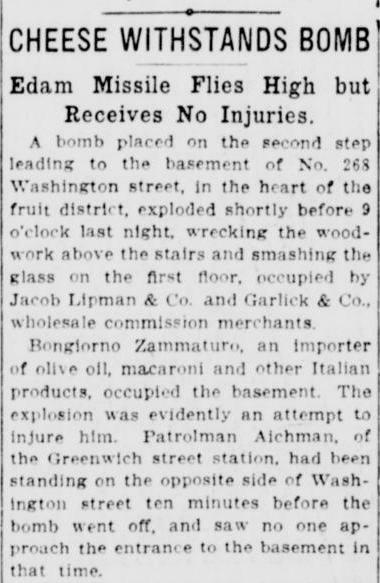 5) The spectacularly-named victim, Bongiorno Zammaturo, was unharmed. I have a feeling the Tribune has gotten his last name wrong. Zammataro is a more frequent variation of this name. 6) This particular Greenwich Street Police Station, where officer Aichman reports, was closed by the police department five years after this incident for “lack of business.” Another police station of Greenwich Street was active by the 1930s as the man who kidnapped and killed the baby of Charles Lindbergh was taken there. 7) The damage “amounted to scarcely $100” = $2,348.00 according to the Inflation Calculator. 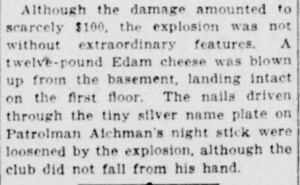 8) An intact flying “twelve-pound Edam cheese” is the comic star of the show of this article. 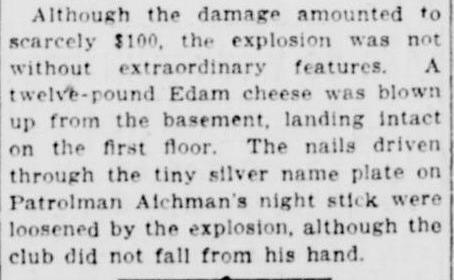 For those not versed in delicious cheeses, Webster’s describes Edam as “a mild Dutch cheese of yellow color and fine flavor, made in balls weighing three or four pounds, and usually colored crimson outside.” It’s that outside shell that turned this little cheese into a virtual cannonball, explaining why it “landed intact”. 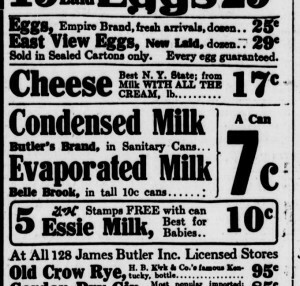 By the way, did you know that New York state was America’s leading cheese maker in the mid-19th century, although by the time of this article, major cheese manufacturing was centered in the northern Midwest. IN OTHER NEWS THAT DAY: The big local news of that day was the announcement that New York district attorney Charles S. Whitman was running for mayor to replace William Jay Gaynor who was not running again (and in fact would die in office that September). Whitman became a national hero during the gangland murder trial that eventually convicted Charles Becker. As it turns out, Whitman wouldn’t run for mayor; instead, he ran for governor in 1914 — and won.